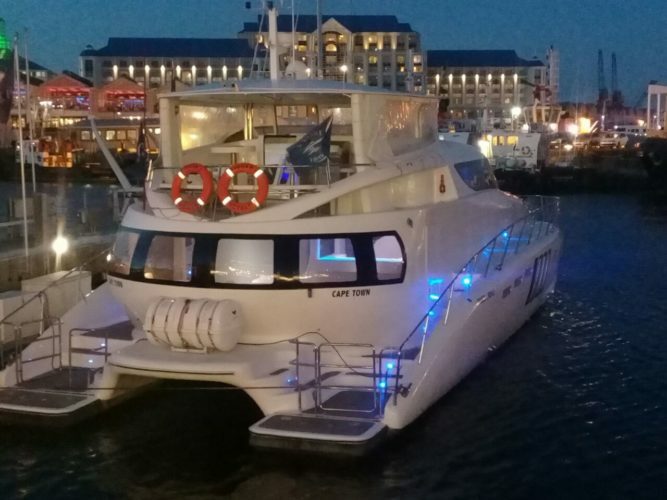 We offer a floating venue option for clients who would prefer to entertain their guests alongside our mooring situated in the heart of the V&A Waterfront. 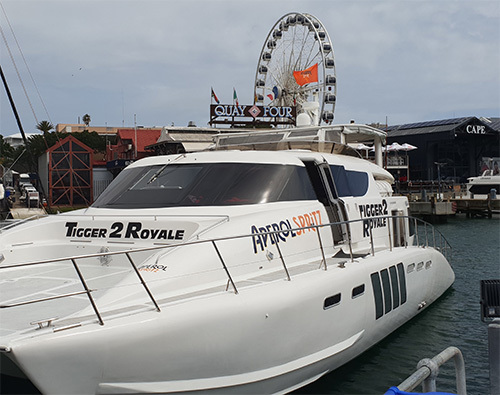 Should you wish to cruise for ONE HOUR in Cape Town Commercial Harbour, our Skipper will take you to see the massive Cruise Liners, Off-shore Oil rigs or sometimes even the Super Yacht depending of the season. 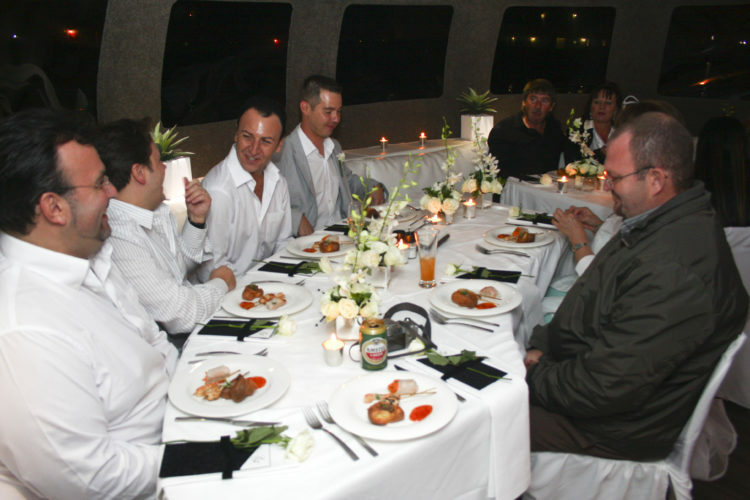 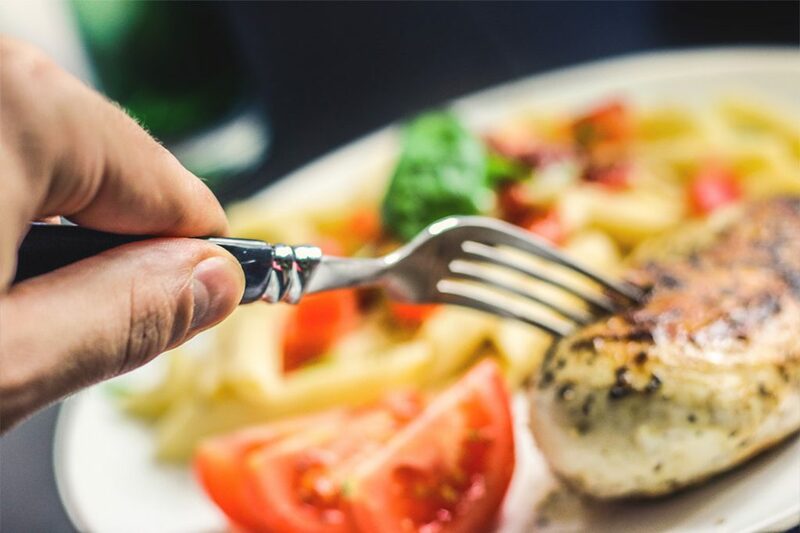 (additional Skipper fee) – Applicable for whilst our crew start serving dinner.